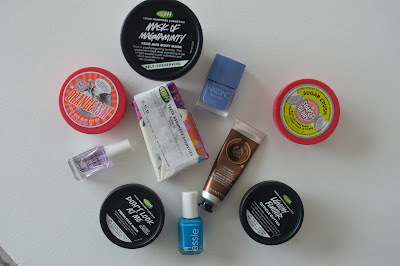 Pamper Products | The Red Brunette. Sunday evening is always pamper time for me. It completely relaxes me and I then feel ready to take on the coming week. Today I'm going to share with you what I do and what products I use to make me feel (and smell) great! I guess you could split my routine into two categories, skin and nails. I will watch some YouTube videos or I will watch some Netflix while I am using these products to pamper and relax. At the moment I am loving 'Suits', 'Blindspot' and 'How To Get Away With Murder'. I always take care of my nails during a pamper session, it really relaxes me and is quite fun. Firstly I will remove any old nail polish, file my nails and buff them. I will then add some cuticle butter and hand cream to make everything soft and smell fabulous. I will either apply a base coat, nail colour and a top coat or stick to just a clear nail treatment. This Barry M treatment is fab on its own but it is not good at all with other nail polish layered over it. I've been definitely into my blue nail polish recently! Another Sunday evening tradition is a face mask. I adore Lush face masks, this fun bright blue one called 'Don't Look At Me' is such a treat for my skin I love it. If I am having a shower during my pamper session I will make sure to use something that smells amazing, usually from Soap & Glory or Lush (my two favourite brands for body care). I finish off by slathering myself with a body lotion or butter and I head to bed feeling totally relaxed and smelling amazing. 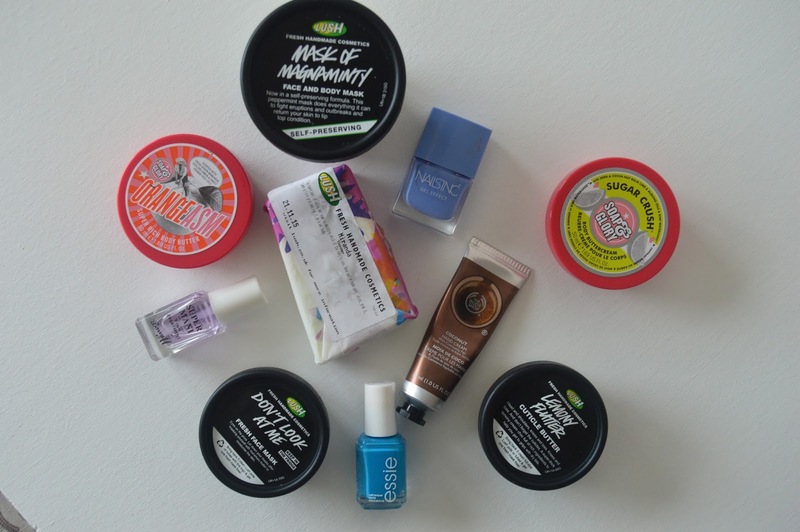 What are your favourite pamper products? And what are your favourite shows to watch at the moment, when you are relaxing?